Is January really half over? Where has the time gone? It has really warmed up here in Ohio this week. Hope it has where you are, too. Monday night we went out to dinner at Columbus Fish Market to celebrate my birthday with my Dad, step mom & little sister. The dinner was so good – I had Chilean sea bass, steamed veggies, salad (with dates & pine nuts) and raspberry sorbet. I really enjoy eating at the CFM because they have an extensive gluten-free menu and are well versed on the diet. You can see another post on CFM here. I loved the sea bass so much that I checked Whole Foods for it on Wednesday & was astounded by the price. Are you sitting down? $21.99/pound! OUCH! I guess it would be one thing for a special occasion and if I knew how to prepare it without screwing it up, but I just can’t go there. Speaking of birthdays, I got the Yaktrax that I so desired from my Dad & family! I am so excited to try them out! Figures it warms up & the snow disappears when I finally have the gear to use outside. Well, if that is all it takes to keep the snow away…..LOL! Wishful thinking on my part. Esther at Lilac Kitchen is hosting this week’s gluten-free menu swap and her ingredient choice is: parsnips. Wow, I have never made parsnips, but they have piqued my interest after seeing several other bloggers making fries out of them. I love fries in any shape or form, so I just may grab some parsnips & give them a try this week. I have made sweet potato fries, butternut squash fries, yucca fries & rutabaga fries. I am interested in seeing what the other bloggers do with parsnips. Make sure to stop by Orgjunkie for lots more menu ideas. I got some very exciting news today. I can’t share yet, but I will in the next few days. Stay tuned!! Columbus peeps – Raisin Rack will now be carrying Everybody Eats products! Review to come later this week! If you would like to help out those suffering in Haiti, there are several ways to do this. You can “Dress down for Haiti“. Lauren, at Celiac teen is collecting recipes from bloggers (gluten-free or not) and putting together an ebook to help raise money for those in need. And lastly, onate money right to the Red Cross. You can do so via their website or by texting “Haiti” to 90999 and $10 will be charged to your cell phone bill. A couple months back I was sent some complimentary samples by Lisa from Organicville. I was really excited about this opportunity as I have been looking for ways to minimize the amount of sugar, and especially high fructose corn syrup, in our diets. According to this article, the average American consumes 150-170 pounds of sugar per year! That is just ridiculous. Sugar & HFCS are found in places that they shouldn’t be – breads, crackers, pickles, canned or frozen vegetables – just to name a few. Anything I can do to help cut back on the sugar in our diets, I am all for it. Organicville’s products contain no added sugar and use agave nectar to sweeten them. I am not a fan of artificial sweeteners like Nutrasweet or Splenda, so this aspect of the Organicville product line really appealed to me. Food chemicals and high-sugar additives plague the grocery store aisles nationwide. Most brands sweeten their products with high fructose corn syrup or artificial sweeteners which are contributors to higher risk for obesity and diabetes more than ever before. These synthetically processed substances in many of America’s food favorites dangerously impact the glycemic levels. 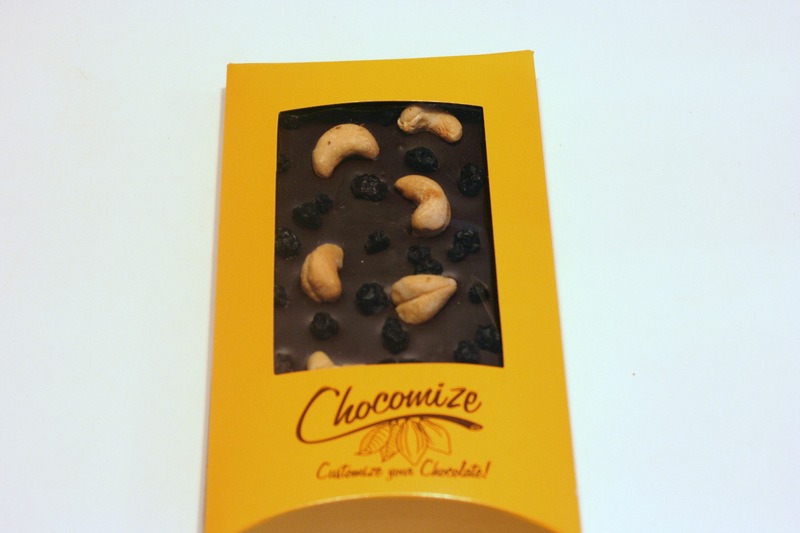 But now, people can choose a healthier option that delivers the same great taste. Organicville, makers of USDA certified organic, vegan and gluten-free ketchup, barbeque and teriyaki sauces, salsa’s and vinaigrettes are made with agave – a 100% natural sweetener, which digests more easily compared to other types of sugar, and delivers the same great taste. The products are gourmet solutions for a healthier, more environmentally focused lifestyle – including products that are safe for those with special dietary concerns, and tasty enough for all – even kids love them! Founded by Rachel Kruse, a 33 year-old entrepreneur, third-generation vegetarian and organic consumer, she turned to creating delicious, healthy products to offer a better alternative to sugars, preservatives and processed foods – as growing up, she couldn’t find organic dressings and condiments that tasted great. The goal: to enjoy a great tasting organic product without having to sacrifice flavor or quality. · Products: ketchup, salsas, BBQ and teriyaki sauces, and vinaigrettes. · No High Fructose Corn Syrup – ever! Organicville’s organic ketchup, barbeque and teriyaki sauces, salsa’s and vinaigrettes are available for purchase in supermarket chains, natural food stores nationwide and online at www.amazon.com. Additional product and availability information can be found at www.organicvillefoods.com. I was sent 2 different BBQ sauces, 2 salad dressings & 2 marinades to try. I passed the marinades along to a friend with Celiac because I can’t eat sesame seeds and they both contained sesame seeds. Her opinion will be shared below, too. 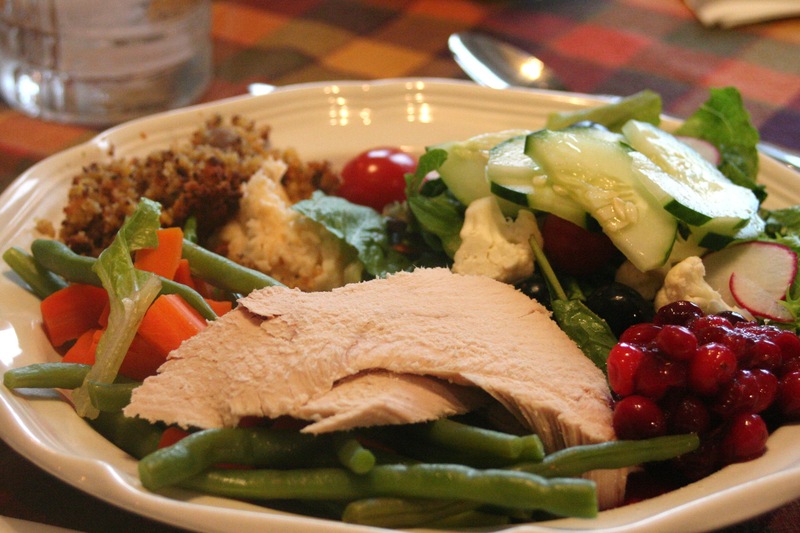 I served the Organicville salad dressings – Herbs de Provence & Sun Dried Tomato & Garlic at our Thanksgiving day dinner. They were a great addition to our menu and were well liked by all who tried them. I loved that neither dressing was heavy – they were both very light & flavorful. The Herbs de Provence is a very unique dressing that I have come to love on a salad of arugula, mushrooms & grape tomatoes. The Organicville BBQ sauces rank right up there with my previous favorite – Sweet Baby Ray’s. 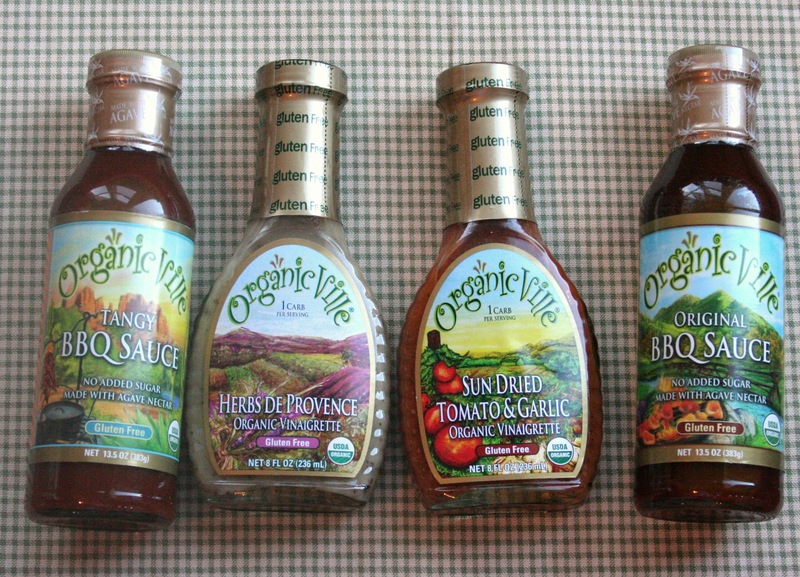 The obvious benefit to the Organicville sauce is no HFCS and organic ingredients. I love to use the BBQ sauce on chicken breast, pizza & salmon. Lindsey, my friend that I passed the marinades along to, really enjoyed the Island Teriyaki marinade. She also tried the Sesame, but said it wasn’t as good and had a really strong sesame flavor. Keep an eye out this week for another post on Organicville and a couple of great recipes for Superbowl Sunday! Amy’s Kitchen is a great company. 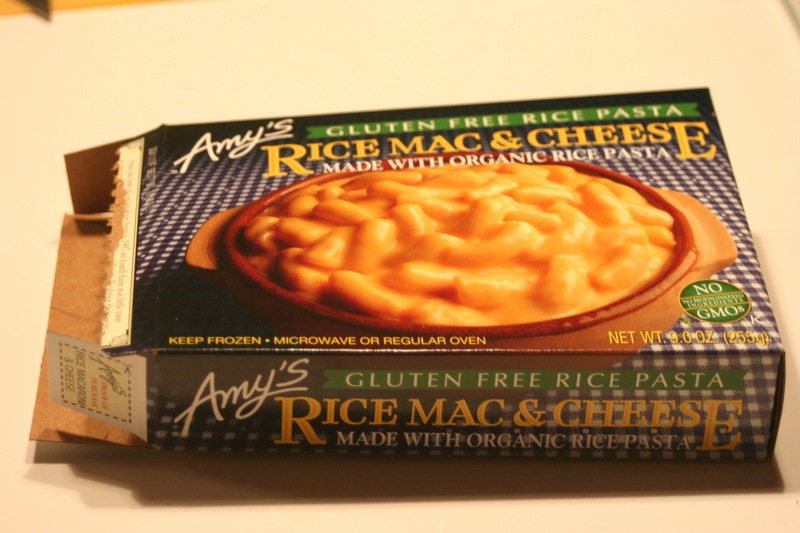 Amy’s makes natural & organic foods and has a large line of gluten-free items. According to their website, there are 77 gluten-free products in their line now. I received a few $1 off coupons to try out some of their products last week. I chose the Rice Macaroni & Cheese (for Jon) and the Teriyaki Bowl. First up, Rice Macaroni & Cheese. 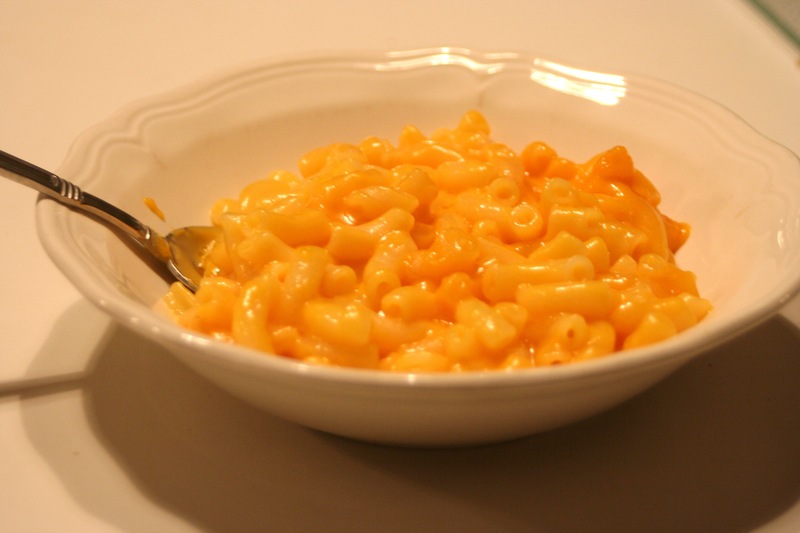 This dish reminds me of the Stouffer’s Macaroni & Cheese that I used to eat as a kid and before I went gluten-free. Jon loves this. We don’t do a lot of frozen pre-made meals, but this is great to have on hand for those nights or days when things are super busy. I would absolutely buy this again. 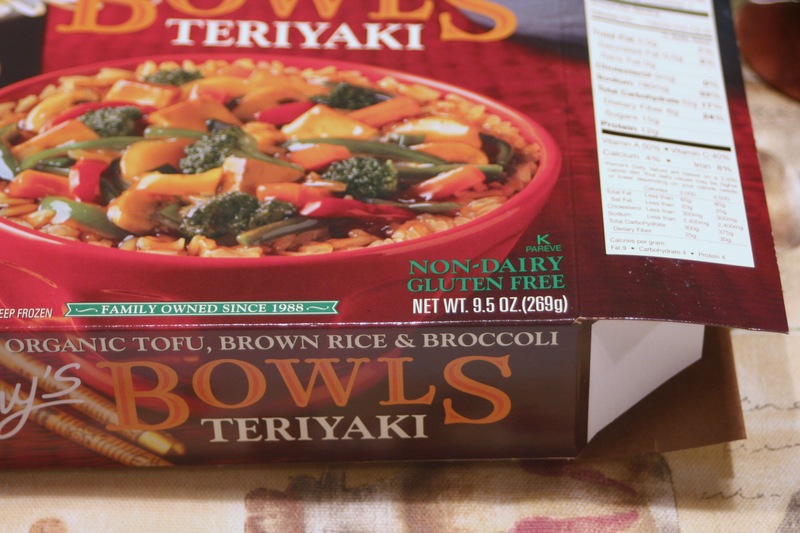 You can find Amy’s Meals in most grocery stores across the US, which also makes this a good choice if you are traveling – all you need is a microwave, which you can find in most convenience stores and even hotels if you ask the front desk. I have also made this at home and put in a thermos for Jon to take to school. 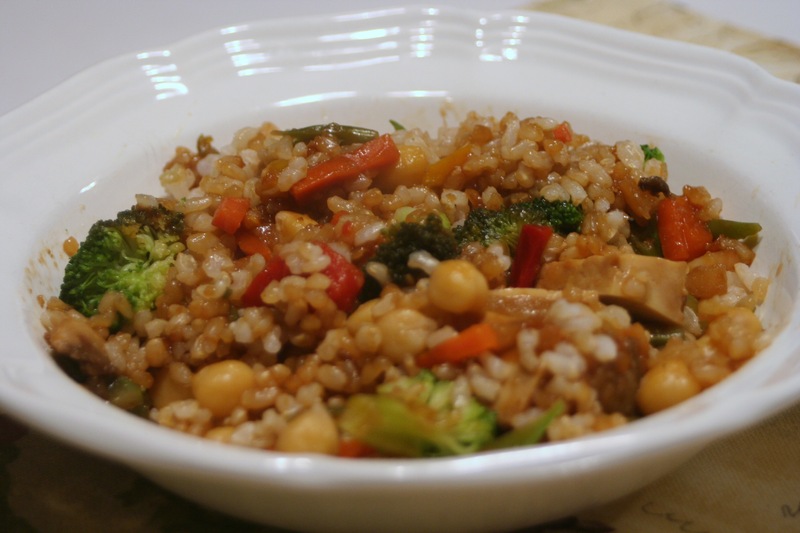 Not only is the Teriyaki Bowl gluten-free, but dairy-free as well! This is also one of very few Amy’s Meals without onions. I can assure you that I would eat most of those Mexican bowls & dishes if they were free of onions – they are right up my alley. This dish was a fantastic combination of flavors. I wasn’t expecting it to taste as good as it did. I did beef it up with about a half cup of garbanzo beans & a salad, because 290 calories for dinner for me is just not enough. I liked this so much that when I saw they were on sale at Giant Eagle this week (2 for $6), I grabbed another one! Amy’s is now offering many of the dishes in a “lower sodium” version to help keep the dishes as healthy as possible. Make sure to check out Amy’s Soups, too, we love the Chunky Tomato Bisque in our house. Perfect with a grilled cheese sammie! 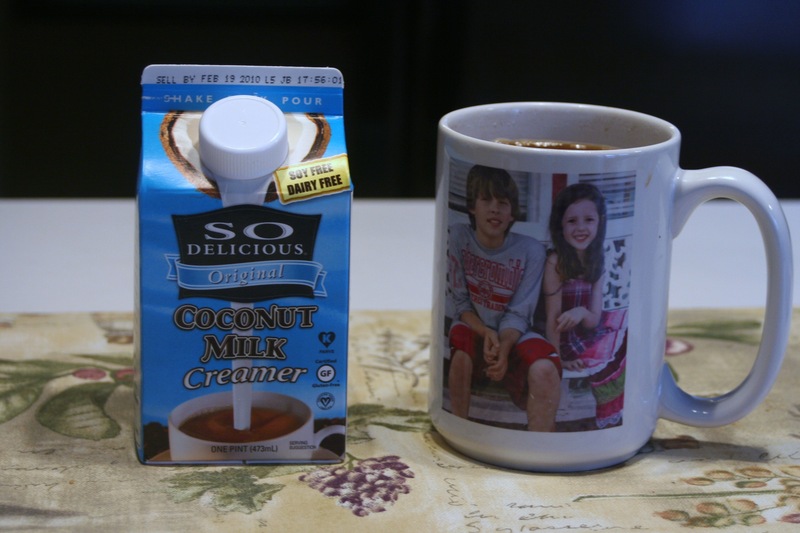 I had been hearing about the So Delicious Coconut Milk Creamer for some time on Twitter. It was like each tweet I read about it was torturing me because I couldn’t find the creamer anywhere. 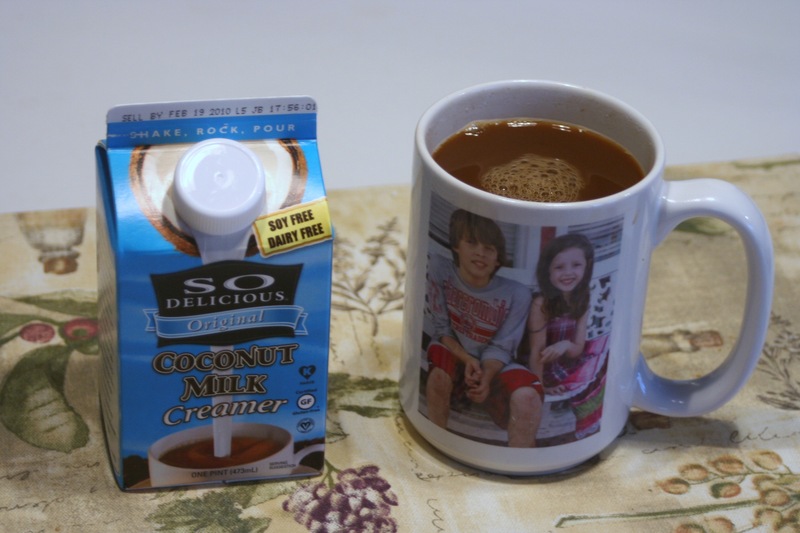 I have tried other So Delicious products and based on how I felt about those, I was anxious to try the creamer. While at my meeting at Whole Foods yesterday, I ran through the store to grab a few things. I spotted the creamer out of the corner of my eye! They had the original, vanilla & hazelnut flavors. I chose original. Not only were they in stock, but on sale for $1.79 or so! Score! I couldn’t wait for breakfast this morning to try it out. I am, once again, going to sing the praises of a So Delicious product. They sure knew what they were doing when they named this brand! The creamer is awesome! It adds a nice flavor & creaminess to my coffee without making it overly sweet. For reference, I normally drink black coffee or coffee with a touch of unsweetened vanilla almond milk in it. I chose the original this time because I wanted to be able to give a fair review without the added flavors of the vanilla or hazelnut. However, I do have to drive past Whole Foods today, so I can’t say that I won’t stop to grab the hazelnut flavor to try out! Additionally, there is no added HFCS, artificial flavors or mono & diglycerides. 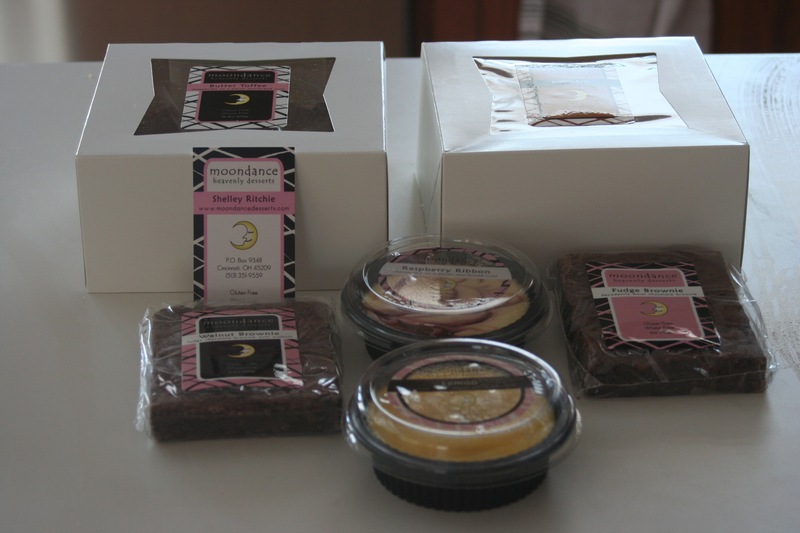 Over the past week or so I have received a number of gluten-free products to sample & review. I am so excited about this! All of these goodies look so good – I can’t wait to dive into each & every one. All in good time. Be on the lookout for lots of good stuff! Sunday night my mother-in-law, Mary, called & asked to stop by. Twenty minutes later she showed up with the most incredible gluten-free delicacy you could imagine. Can you guess what she brought over? 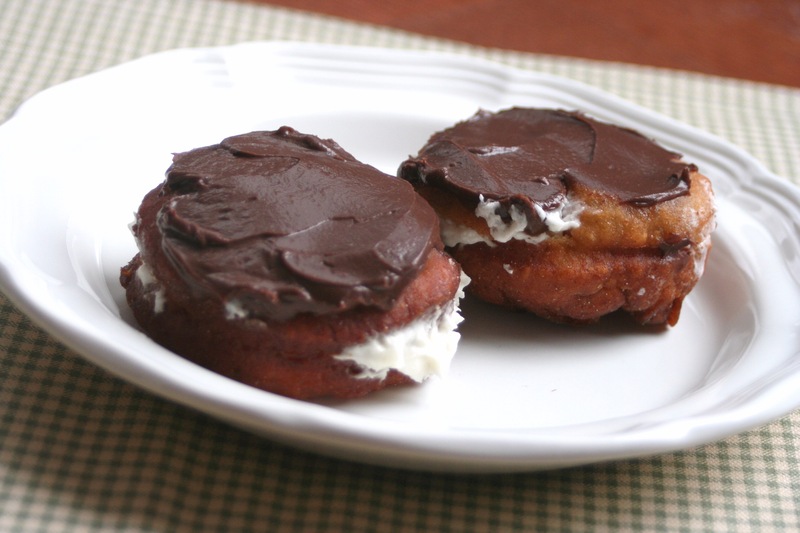 Gluten-free cream-filled chocolate frosted doughnuts. These puppies tasted better than I remember Krispy Kreme’s tasting. Jon has counted them so that no one steals his beloved treats. I hope to get the recipe from Mary & share it with you guys in the next few days. I am especially looking forward to the Pumpkin Cheesecake. Those of you who have been reading Gluten-free is Life for a while know about my love for pumpkin – it is right up there with chocolate. Make sure to check back soon for our review of Shelley’s treats. One last quick note – Starbuck’s is now carrying gluten-free treats again. You can read more about it here in my latest Examiner article.